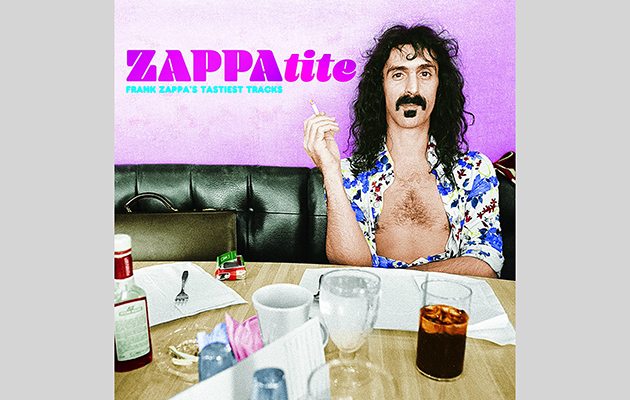 ZAPPAatite: Frank Zappa’s Tastiest Tracks, a career-spanning collection of Zappa’s back-catalogue, will be released on September 23. A prolific, eccentric, performer Zappa’s output features over 60 albums as a solo-artist and member of Mothers of Invention. 2016 marks the fiftieth anniversary of Mothers of Invention’s debut, Freak Out! To coincide with the fiftieth anniversary of Mothers of Invention’s debut, Freak Out!, Zappa’s releases have been compressed into an 18-track primer. His son, Ahmet Zappa and archivist, Joe Travers have compiled the album. It will be split into three food-themed sections: Appetizers, Entrees and Desserts to accompany the album cover of Zappa.